Waltrich Plastic manufactures 3 products for electric fence needs. 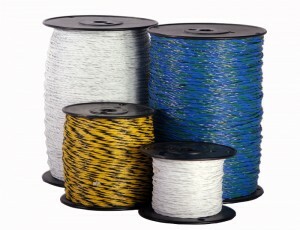 Poly tape, poly wire and poly rope, all using high-density polyethylene yarn with stainless steel wire. 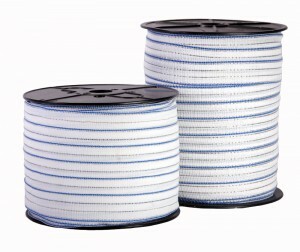 Click here for more information on Poly tape. 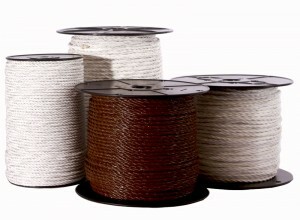 Click here for more information on poly wire and poly rope. These products can be customized to customer’s specifications and labeling. 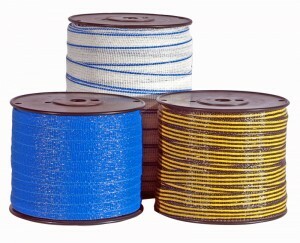 Click on product tabs under Electric Fence Products for poly tape, poly wire/poly rope technical information. Contact our knowledgeable sales staff for more information.